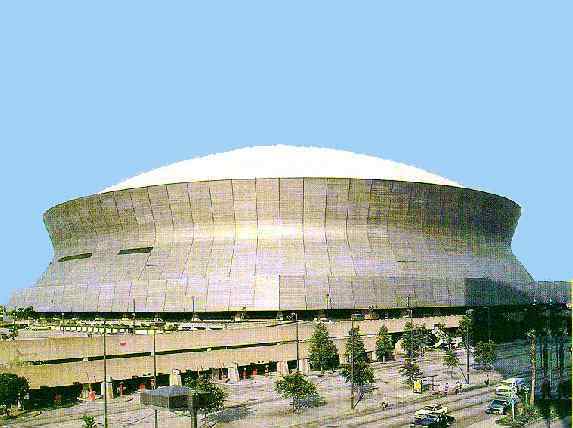 The stadium Louisiana was built in 1975 , covers 13 acres and reaches 27 stories at its peak, 273 feet above street level. The Dome which has a diameter of 207.26 m (680 ft), covers the world's largest steel-constructed room unobstructed by posts, encompassing 125 cubic feet of space. The Superdome seats more than 72,000 people .